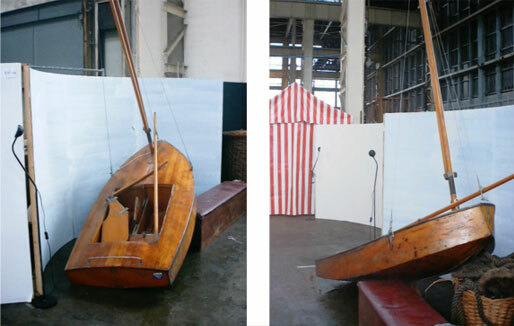 Boat Yard: Specific yard is not known but it was in New Zealand by Mr David Marks. Tui is a 7Ft. Pram dinghy built for Prince Charles when he was 5 years old and presented to HRH Queen Elizabeth II by the Aukland Harbour Board during her state visit to New Zealand in the 1953. Tui has a staid mast with gunter rig. The name ‘’Tui’’ comes from a small bird found in the dense Rata Kamahi rain forests on the western slopes of Mount Aspiring on south island of New Zealand. She was presented to the Trust by her previous owner, – The Scouting Association to whom she had been donated by HRH Prince Charles. Tui carries an engraved silver plate inscribed; ‘’Presented to his Royal Highness Prince Charles, Duke of Cornwall, by the Aukland Harbour Board, on the occasion of the arrival of He Majesty the Queen, and His Royal Highness the Duke of Edinburgh, in New Zealand on 23rd. December 1953.